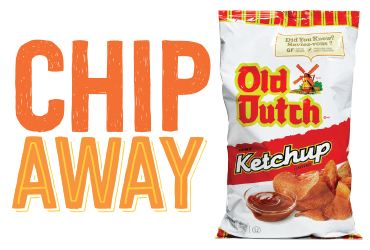 Old Dutch Ketchup Potato Chips Featured in the March 2018 issue of Food Network Magazine! “American’s aren’t the only ones obsessed with potato chips. Here are the flavors our friends aboard are eating.